The Pipe Flow Module has been around for quite some time now. My impression is that this add-on to COMSOL Multiphysics is well received by its users. Many of them view it as a natural extension of the CFD Module and the Heat Transfer Module. The whole idea with the Pipe Flow Module is that fluid flowing in extended piping and channels largely follows the laws for fully developed flow. As such, you don’t need to resolve the complete flow field with volume elements. You can simply make the assumption that the flow is fully developed. The pipe flow equations (right) only solve for an average velocity and the pipe is only represented by a line in the geometry (middle). This approach saves computational time and cuts memory requirements. In the image below, pipes are embedded in a solid mold. The heat transfer between the cooling fluid inside the pipes and the mold is studied. In this scenario, however, many users want to connect a pipe section to a 3D fluid flow domain. Pipes embedded in a solid mold. Image taken from the Cooling of an Injection Mold model entry. This is a common occurrence when you have long stretches of slender pipes that suddenly open up to a larger fluid volume that cannot be approximated by a pipe equation. The fluid volume is attached to pipe segment, a 3D curve in the geometry. In earlier versions of the COMSOL software, this coupling was possible to do. The old process, however, was rather involved, as it required users to set up coupling operators and do a lot of bookkeeping to get it right. 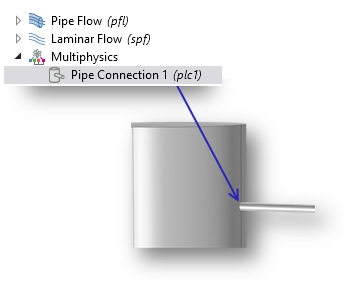 In COMSOL Multiphysics version 5.0, we decided to make this easier by providing the Pipe Connection, a feature in the Pipe Flow interface. 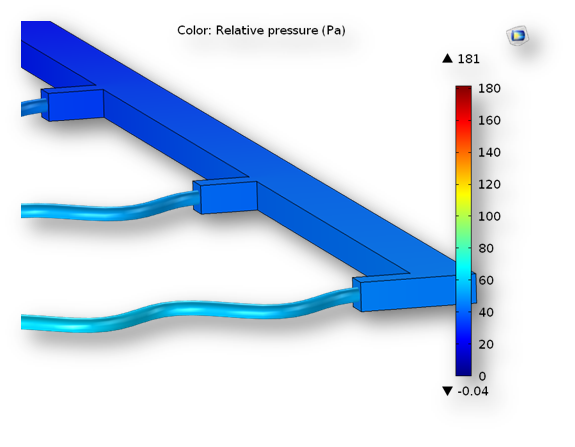 This feature couples a 1D pipe segment (modeled with the Pipe Flow interface) with a 3D single-phase flow body. 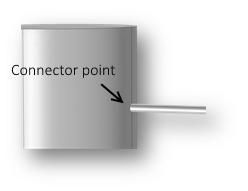 The pipe connection is added as a multiphysics feature and is selected by default on the relevant points in the geometry. This selection can be modified by the user. The Pipe Connection feature in COMSOL Multiphysics®. A detailed schematic from the Convective Flow in a Heat Exchanger Plate model. The wavy segments are pipe flow sections and the block-shaped body is a 3D flow domain. Very useful blog, nice presentation, thanks a lot. The ‘Pipe Connection’ feature allows a connection for the fluid part of the model. But what about the ‘Nonisothermal Pipe Flow Interface’? Does it also easily allow a connection for the heat (temperature) part? This link expires March 5, 2018. Please make sure to download before that date. Now I’m using the version 5.2a, and am trying to connect pipes (Nonisothermal Pipe Flow Interface) to a 3D box (Turbulent Flow(k-ε) Interface). Are there any solutions or examles? 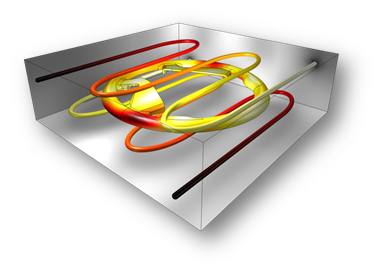 the turbulent pipe connection was introduced in the latest version (5.4) of COMSOL Multiphysics. Please download that from https://www.comsol.com/product-download and then you can open the example above and switch to turbulent flow. 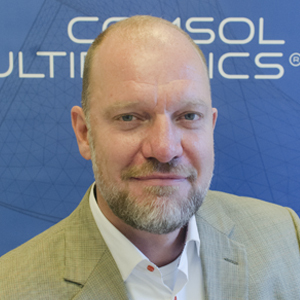 If you have any more questions, contact support@comsol.com. It is of great help!